This 32 inch battery powered rider floor scrubber has two 16" brushes that are powered by dual 500 Watt motors. The brushes that come with the scrubber can be used mainly for daily scrubbing, and the tynex brushes that are listed below, can be used for your rare stripping jobs. 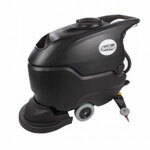 The rider scrubber is powered by a 560 Watt drive motor, which will provide a maximum speed of 4 mph. The vacuum motor is powered by a 650 Watt motor, for maximum recovery through the follow-behind squeegee. 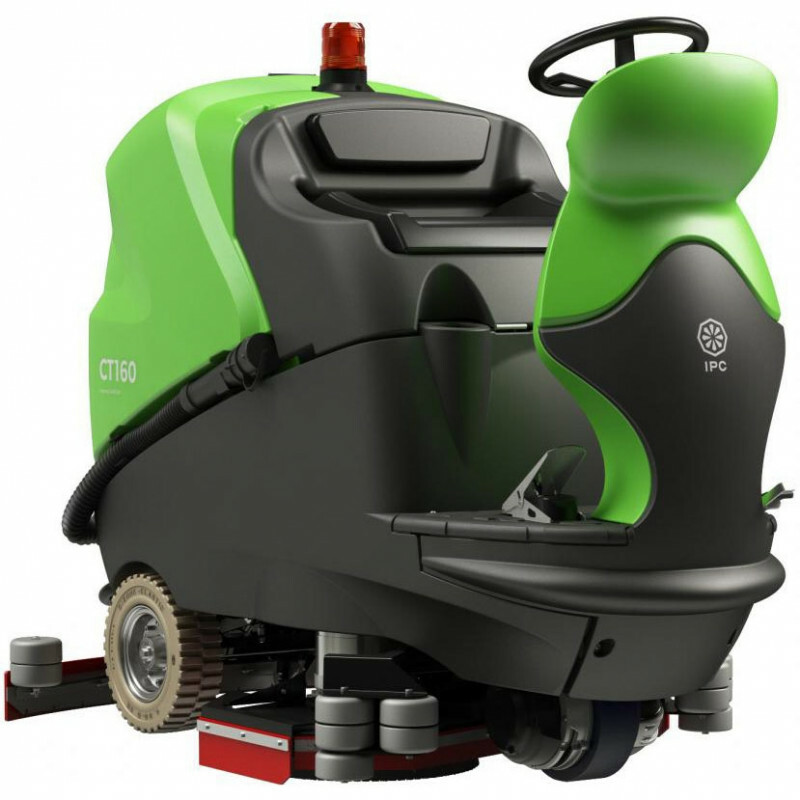 On a full charge the batteries will provide 3 to 4 hours of continuous floor scrubbing for this rider scrubber. If a ride on floor scrubber isn't quite what you're looking for, we also offer a great selection of smaller, less expensive rotary floor scrubbers and walk behind floor scrubbers. 68" x 40" x 54"